Looking for a cheap air purifier that does what it’s supposed to do and without the ongoing costs of replacing filters? 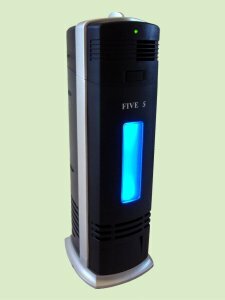 Then look no further than the FS8088 ionic air purifier with UV from Five Star. Will a cheap air purifier really do the job? Although this is a budget purifier, the simple ionic and UV technology it employs is highly effective at removing tiny airborne pollutants and allergens as well as germs. Living up to it’s name as a budget air purifier, the purchase price (around $50) isn’t the only thing that makes it so affordable. The FS8088 has low energy consumption (so you don’t need to worry about leaving it on for extended periods) and is also filterless. Well, not exactly. 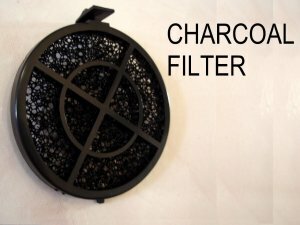 There is a charcoal pre-filter for eliminating odors, but this is washable and won’t need replacing. Ongoing running and maintenance costs are at the bare minimum for having an air purifier in your home. Equipped with an electrostatic rod which collects the fine particles being removed from the air, the only maintenance you will need to do is give it a wipe clean every now and then. This is far from a difficult task and is partially offset by the less dusting you’ll do. The UV light functionality in this budget air purifier is a wonderful added bonus. The UV light is very good at killing germs which makes it invaluable during the cold & flu season. This minimizes the spread of airborne germs from guests or among the family. Read more about Ultraviolet Germicidal Irradiation. So, down to the specs. It is quite a small unit, just 17 inches in height, 6 inches wide and 7 inches in depth. This makes it ideally suited to a small or medium sized room for particulate cleaning, but ion production will extend much further than this. A two-speed fan, ‘low’ which is good for sleeping and ‘high’ for extra air circulation. A blue nightlight which can be switched on or off (great for kids rooms). As far as a cheap air purifier goes, this one covers all the bases effectively. For a one off cost of $50, a 30 day money back guarantee when purchased through Amazon, and a 3 year manufacturers warranty, it is well worth every penny. Give it a try, see how much better a night’s sleep is with an air purifier in your room and we’re positive you won’t be sending it back :). Yep, it’s a budget air purifier, but it does what is says and customers are happy. This is why it’s a best seller and will continue to be in the future.